Timber Frame Questions? We Have Answers! Timber frame construction has enjoyed a steady rise in popularity over the past few decades—and it’s not just homeowners who are embracing the versatile building method. From equine facilities to municipal bureaus, more commercial structures are now incorporating the method as well. 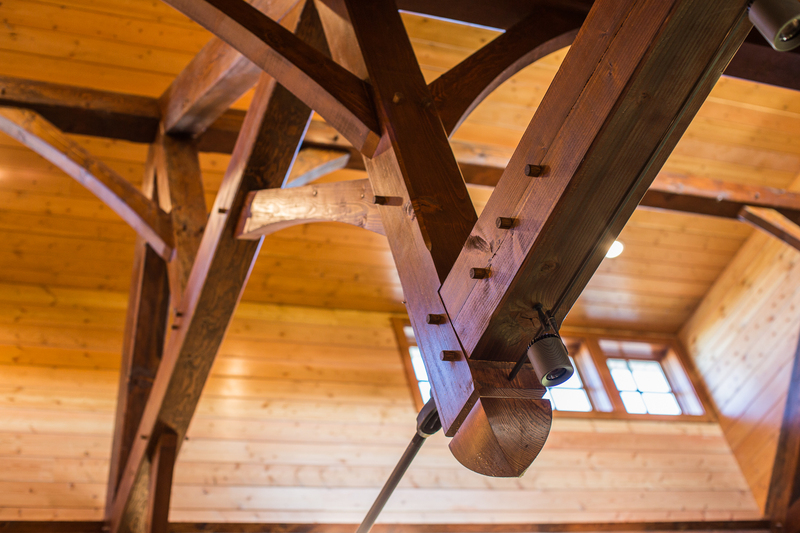 To learn more about it, let’s look at a few of the most popular timber frame questions we hear from our clients and build partners. Timber framing is a building method that has been around a very long time. Its methods date as far back as the Neolithic period and have been used throughout the world—including in Japan, England, Germany, the US, and other regions. In timber frame construction, a structure is framed with timber frames instead of the more conventional slender, dimensional lumber. Structures that are commonly called “stick-built” use this slender, dimensional lumber. It’s typically found precut and is readily available at lumberyards. What Makes Up Timber Frame Homes? 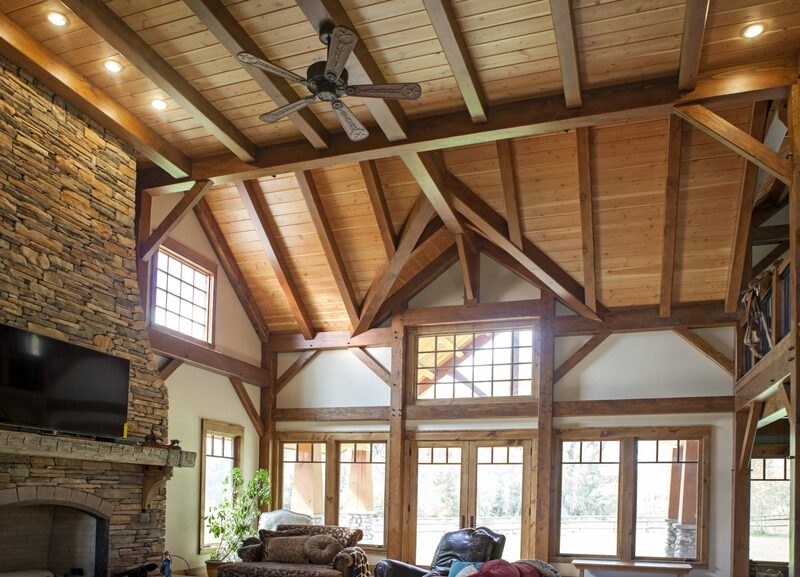 Timbers are the wooden beams that create the home’s frame. The upright timbers are called the posts. A timber frame home is fully constructed of the upright/vertical posts and horizontal beams. At Mid-Atlantic Timberframes, our timber frames are constructed mainly from Douglas fir, eastern white pine, red cedar, and oak. Crossbeams connect the post beams together and give the structure stability. The location where two beams come together is called a joint. In true timber frame homes, the timbers are cut to fit into each other at the joints. Those joints are connected with mortise and tenons and secured with wooden pegs. There are many kinds of joints, ranging from simple to complex. Common ones include lap joints, mortise-and-tenon joints, and dovetailed and pegged joints. Trusses are a rigid triangle of timbers. A truss provides support for the roof but also allows for column-free floor space, typically on the top floor of a structure. Timber Frame Home vs. Log Home: What’s the Difference? 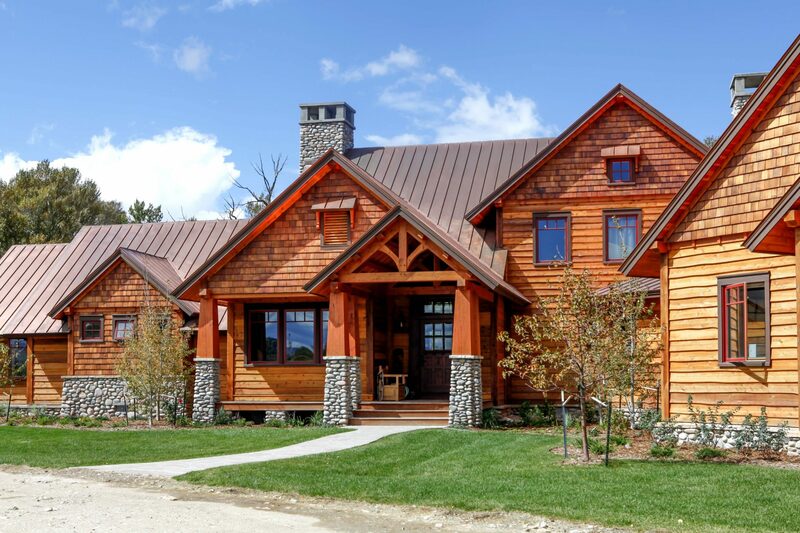 One of the most common questions we hear is, How do timber frame homes differ from log homes? The biggest difference is how the wood is used. Log homes are built by simply stacking logs horizontally. This creates the walls—and a very distinct look. The look of timber frame homes might not be as easily recognizable because different exterior materials might be used, giving it a different profile compared to the interior. In a log home, however, the look of the home’s interior is the same as the look of the exterior. 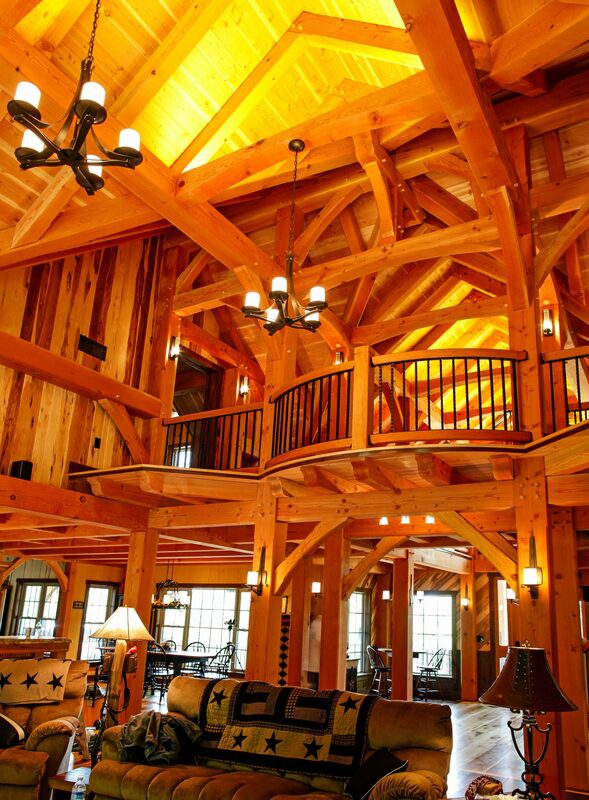 There are many advantages to choosing custom timber framing. Timber framing is suitable for just about any style and shape of building. Its versatile open-air design makes it ideal for large spaces like a public library or riding arena. And the warmth of natural wood makes it a great choice for more private, personal spaces like a spa or restaurant. Timber framing also offers the flexibility of customization. From a grand, formal look to a modern, chic vibe, there’s truly no limit to what you can design and build. Timber framing is friendly to the environment. Timber is a natural, renewable resource, and our suppliers plant as many as 10 times the number of trees they cut down. A timber frame home paired with structural insulated panels (SIPs) is energy efficient. Unlike in a standard framed or stick-built home, SIPs don’t have the thermal breaks created by studs as 16-inch centers. This allows for reduced energy costs. Last but certainly not least, timber frame construction is low maintenance. Even 100 years later, you’ll have a beautiful, structurally sound, and energy efficient structure. If you have more questions about custom timber framing, connect with our expert team. We’re here to share our knowledge and help you take the next step in your timber frame construction journey! We custom design, craft, and build custom timber frame homes, structures, and commercial buildings. Located in the heart of Lancaster County, PA we provide quality every step of the way from beginning to end.